One of the most important things you can do to improve at chess is learning how to read and write chess notation. Knowing notation is crucial to learning from books and the games of stronger players, and also allows you to record your own games for later review. Luckily, it only takes a few minutes to learn notation. In this article, you'll learn how to read and write algebraic notation -- the most common form of notation used today. First, it's important to understand how the squares are named. The diagram shows the coordinates used to name the ranks and files. From White's perspective, the files from left to right are named "a" through "h." The ranks are numbered 1 through 8, beginning with the rank containing White's pieces. Each square is named by combining its file and rank. For instance, the square the White king begins the game on is e1, while the Black queen starts on d8. Algebraic notation also uses abbreviations for each type of piece. There are fairly simple to remember; in most cases, the abbreviation is the first letter of the piece's name. Note that the knight is abbreviated as N, to avoid confusion with the king. Also, notice that pawns aren't assigned an abbreviation; for pawn moves, only the square names are used. The basics of notation are very simple. To note a move, simply write the abbreviation of the piece moving, along with the square the piece is moving to. For example, moving a bishop to the d7 square is notated by writing Bd7. Pawn moves use only the square name; moving a pawn to e4 is written simply as e4. When written, moves are numbered as pairs; 1. e4 Nc6 would tell us that on his first move, White moved his e-pawn to e4, and Black responded by moving his knight to c6. Capturing a piece is notated by placing an x between the piece abbreviation and the square name. So, if a knight captures a piece on a4, the correct notation is Nxa4. When a pawn makes a capture, we need to point out what file the pawn game from. If a pawn on e4 captures a piece on f5, the correct notation is exf5. If a move results in a check, a + is usually added to the end of the move - for example, Qd8+. Checkmate is usually designated by either ++ or #. Castling is denoted differently depending on which side the king is castled to. 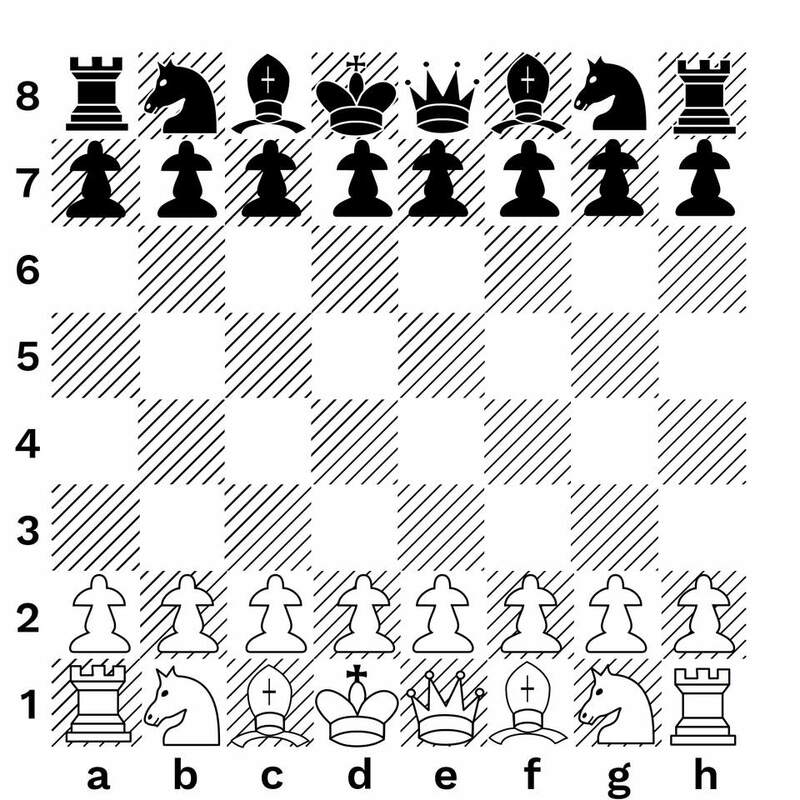 Castling kingside is represented by 0-0, while queenside castling is notated with 0-0-0. Sometimes, more than one of the same type of piece could be moving to the target square. For instance, perhaps you have rooks on both a1 and f1, and move one of them to d1. Simply writing Rd1 wouldn't give us enough information; either of the rooks might have moved there. Instead, we add a little extra information so that we know which rook made the move. If it was the a1 rook, we'd write Rad1. Some special pawn moves are worth noting. Pawn promotion is written by adding an = followed by the abbreviation of the piece that pawn was promoted to. For example, promoting a pawn on a8 to a queen can be notated as a8=Q. En passant can be treated as a normal capture, or if you feel the need to specify, you can add an e.p. or other note to the end of the move. In addition, to move lists, you might see additional annotations while reviewing a game. These analysis marks are commonly used to point out good, bad, or interesting moves. This may seem like a lot of information to remember, but after a few games, chess notation will become second nature. A very short practice game follows—if you follow the moves correctly, it should end in the famous checkmate for White known as Scholar's Mate.